2010 marked the 25th anniversary of the Colorado Coalition for the Homeless, a key collaborator in Denver’s goal of eliminating homelessness. The organization opened its doors with a staff of three and a budget of under $100,000.00. In 1986, many in Denver thought homelessness was a temporary problem and that a better economy would “take care” of the situation. Today, the organization has a staff of 450 and a budget of $35 million. Needless-to-say, the homeless population has not disappeared. The Coalition now owns 1,400 housing units for the homeless and low income population (another 100 are under construction). The Stout Street Dental Clinic serves 12,000 clients each year. The Stout Street Medical Clinic served 16,000 clients each year through 57,000 visits. The pharmacy fills 750-1,000 prescriptions each day. There is no co-pay for medicine. Those seeking mental health treatment often wait as long as 18 months. The mobile clinic has been out of service for a year due to state budget cuts. Come hear CEO, John Parvensky, tell us the remarkable story of the history and incredible performance record of this organization. John is the only CEO the Coalition has ever had. He was instrumental in the creation and passage of the McKinney-Vento Act, the first federal legislation dedicated to homeless assistance programs. Through his guidance, the Colorado Coalition for the Homeless has become a national leader in developing model healthcare programs and integrated supportive housing for homeless and at-risk families and individuals. Its programs have become the standard embraced by the U.S. Department of Housing and Urban Development. In 2009, John was elected to a two year term as President of the National Coalition for the Homeless. The nation’s oldest and largest homeless advocacy organization. 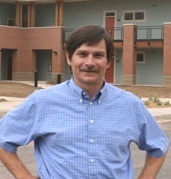 He is a member of Denver’s Commission to end homelessness and Vice Chair of Colorado’s interagency Council on Homelessness. Recently, John earned a 2010 Housing Colorado! Eagle Award for his longtime work to expand affordable housing in the state. He was also chosen by his peers to receive the 2010 People’s Choice Award. This award is made by housing professionals representing the private sector, government and non-profit arenas.